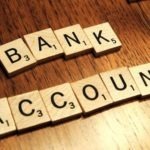 Between a bank FD and a company deposit, the latter undoubtedly seems far more attractive than the former. After all, company fixed deposits offer higher interest rates than bank fixed deposits. On an overview, a higher interest rate is definitely more lucrative for an investor seeking to maximize his investment income. These factors automatically indicate yet another variable needing consideration, which is the safety of investment. Therefore, while an investor contemplates investment in a fixed deposit, especially a company fixed deposit, he must evaluate his prospective investment on certain grounds, other than FD interest rates. Booking a fixed deposit online is much more convenient than offline booking. Companies, for instance provide the absolute ease of online booking of fixed deposits. With paperless management of deposits, the investor can keep tabs on his investment on the go. Ideally, investments in fixed deposits for longer horizons of time yield higher FD interest rates in cases of fixed deposits. However, longer the time horizon for investment, lower is the liquidity of the investment in general. On the other hand, company fixed deposits provide higher FD interest rates compared to banks. Therefore an investment in company fixed deposit is definitely a more lucrative option. Nevertheless, one can calculate the income accrued over a period of investment by using FD calculators. An investor, before making his investment, also has the concern of liquidity in hand. In other words, in case of an emergency, the amount must be available in one’s hands on a short notice. One might consider breaking a fixed deposit before maturity while in financial distress. Thus, premature payment of term deposits must be made on simple, user friendly terms. On this parameter, once again, company fixed deposits provide higher liquidity than bank fixed deposits. In companies akin to Bajaj Finance, investors can opt for premature withdrawals of fixed deposits online with a nominal deduction from the FD interest rates. Hence, there’s absolutely no hassle involved. This is an indispensible factor of consideration while evaluating the choice of a fixed deposit. Rating of a financial institution is an index of the safety associated with it. In other words, higher a company’s credit rating, higher is the safety of the investment therein. This statement holds a strong validity in case of company fixed deposits. Knowledge of credit rating of the company to which a prospect wishes to entrust his/her funds is imperative. Therefore, while one contemplates investment alternatives, his/her judgment of the institution must not be based solely on higher FD interest rates. As emphasized, pre-investment evaluation is thus not just a formality for compliance. Online booking, renewal, and preferential premature of fixed deposits. Higher FD interest rates between 8.10%-8.60%. Availability of FD calculators online to enable the assessment of fixed deposits. Diversification options with the availability of cumulative and non-cumulative fixed deposit investment options. Special rates for different tenures. For example, NBFCs offers a higher interest rate by 0.10% on fixed deposits having a maturity period of 15 months. 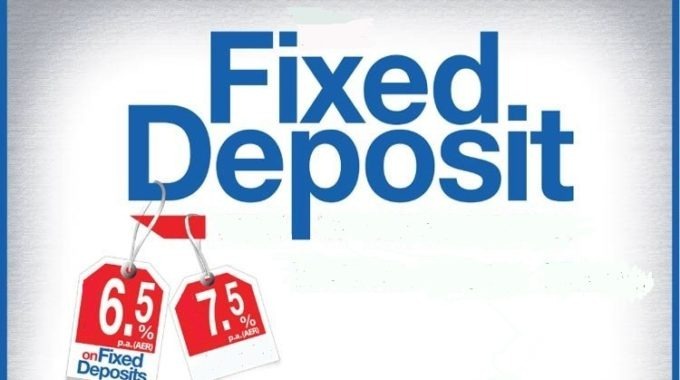 The regular 12 month fixed deposits, on the other hand, have interest rates of 8.10%. High credit ratings of MAAA, and FAAA from ICRA and CRISIL respectively. Financial institutions offer safety, liquidity, and ease of investment, thereby making them favorable for investors to park their funds in. They are also favourably rated by CRISIL and ICRA as a trustworthy lender. Nitin Arora is an experienced financial advisor who is well known for his ability to foretell the market trends as well as for his financial astuteness. He has worked extensively in the finance sector and has been dealing with the entire range of loans. He has written numerous pieces on home loans, business loans, doctor loans, EMI loans etc. and how they affect the customer in the present market scenario. He has been dealing with a host of reputed clients associated with the financial industry. He has an MBA in finance from Yale Business School as well as years of experience delivering seminars on sound financial practices and debt management. Nitin has also amassed a great name for himself as a financial blogger.